I just had to play along in the color challenge at W plus 9 with this little cutie. 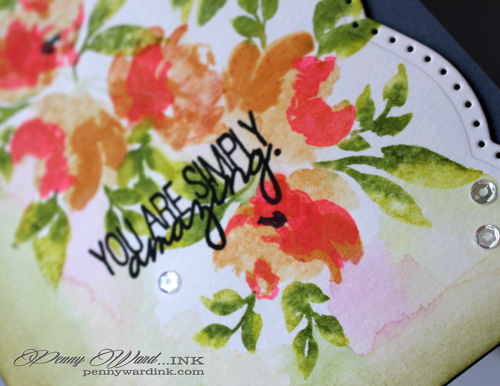 Using the Misti stamping tool and watercolor paper made this a breeze. 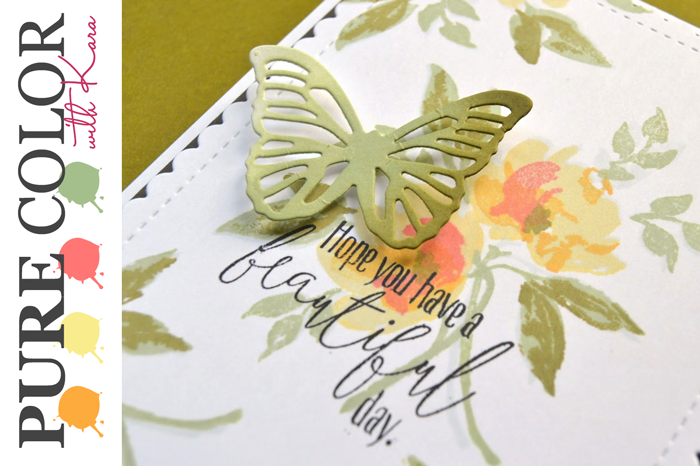 Side was die cut to bring a little something, something to this card. Edge and bottom were inked with coordinating Pistachio ink. A few Sparkling Clear sequins give it a nice finish. Wow, your card is so beautiful!! Thanks so much for joining us!! This is just stunning! 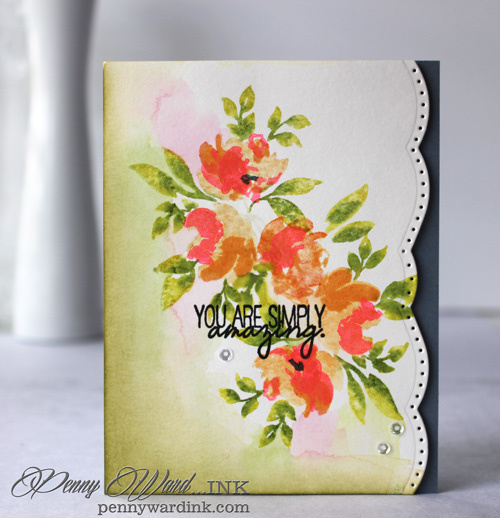 I saw your card in the link-up at Dawn's blog and just had to come see your card in "person". It's beautifully done in water color! Beautifully done, Penny - love your card! LOVE the side border and those flowers are simply breathtakingly gorgeous!! Beautiful card! !